R.G. Apel tells us what’s what in custom home building. Dennis Auping of R.G. 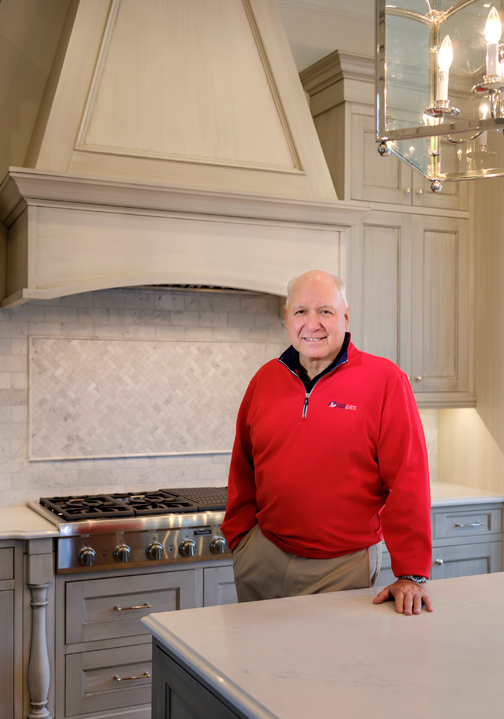 Apel uses 30 years in the business to craft truly signature homes. Whether looking for accessibility or the largest residential aquarium in the United States, he has you covered. How did you get into the custom home business? Dennis: I came up through the carpenter trade working with my tools for many years. Then I went to work as a construction manager for a large tract home builder. I then decided I would like to build custom homes with my own designs. How did you become knowledgeable in the business? Dennis: The years in the carpenter trade and learning other trades gave me a wealth of knowledge before I began my own business. I learned a lot about what it takes to build quality homes this way. I also learned the business from both sides: construction and sales. With over 30 years in the business, you’re bound to learn some things. What do you enjoy most about building custom homes? Dennis: Every project still has its challenges, which keeps things interesting. You meet and become friends with so many new clients. Also, it is very satisfying to see a new project start from nothing and finish with a spectacular structure that someone will be connected to for maybe the rest of their life. If a homeowner wants to build a custom home, what should they do first? Where would they start? Dennis: I feel anybody that wants to build a custom home should first seek out a builder and meet with them for an interview to learn about their company and projects. This will help them decide who they are most comfortable with. Being a builder myself, I put the entire team together including the architect and designer if needed. I also help find the lot to build on if the home owner doesn't. It can take the effort of the entire team to complete a successful build, and I think the builder should be the head of the team. 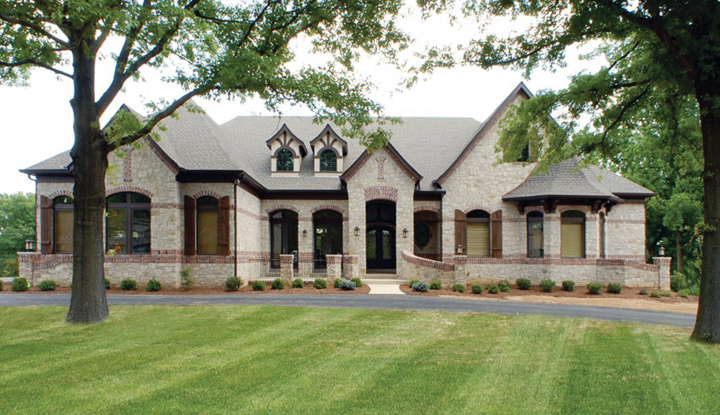 How does a custom home differ from a home in a subdivision? Dennis: In subdivisions they usually have three or so models to pick from. You select one with the most options you would like and then the builder will take it from there. The client won’t usually see the home again until it is finished. When building a custom home, the client and builder are in constant contact usually going over selections, changes, schedules, etc. Most clients visit the job site weekly. Their home is one-of-a-kind being built. Do you ever build the same house twice? Dennis: No, we have not. We will sometimes start with a floor plan that we have and let the client look at it. There will be parts of it that they like and can see to start with ideas. Usually by the time the new floor plan and elevations are done, they are a complete new set of plans. What is the most interesting thing you’ve ever built in a home? Dennis: There have been so many fun and interesting things that we have done. There was an 8,000-gallon aquarium in a lower level that we did. (It was one of the largest in a U.S. residential home.) We have done gymnasiums under garages with 14-to 16-foot tall concrete walls. Observatories on the third and fourth floors. Pods inside rooms that are separate sleeping quarters with their own electronic doors, media equipment, HVAC, lighting, etc. Do the architect and builder have to collaborate? Dennis: Very much so, especially in the beginning to make sure that the client is being heard and understood, and the team is working with the different municipalities in unison. The two work together also to keep the blueprints in line with the original budget. When building a handicap-accessible home, what are the things you need to consider? Dennis: There are many things to consider. Are you doing the entire home with accessibility or just certain areas? Exterior areas, interior areas, etc. This is the first place to start when making a decision for an accessible home. What was the most valuable thing that you’ve learned from building handicap-accessible custom homes? Dennis: Probably one of the most valuable things is that not all needs are the same. You have to be able to adapt to different needs. It can be anything from aging in a place to needing very special access for certain special needs. Also, I have learned that you can do it all with a very beautiful level of finish. It all can be done to blend in with your beautiful home.